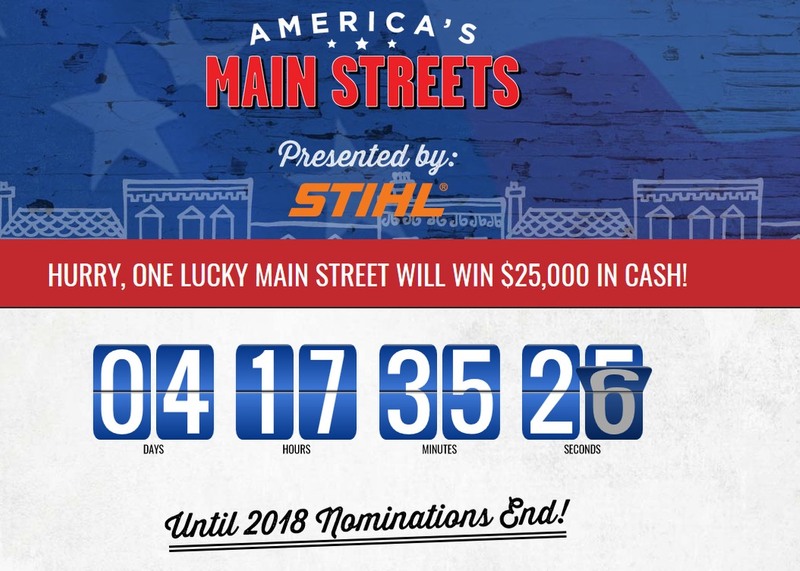 Earlier this year, “the third annual America’s Main Streets contest kicks off to help consumers, small business owners and Main Street organizations reward a deserving Main Street with $25,000 in cash and sponsor-related prizes. America’s Main Streets play an important role in the long-term success of communities and help build a sense of place reinforcing this year’s theme: “Local Memories. Lasting Impact.” Independent We Stand invites the public to nominate and vote for their favorite Main Street — whether it’s making a comeback or never lost its staying power. All nominations and voting take place on MainStreetContest.com.